R. Norman Harrison never says much at the yearly writers retreats. But this year, he has a story to tell, from long ago. A story about a road trip in 1945, a mysterious house in the middle of nowhere, and a door to a place that can only be described as magical. Also, Rish and Big talk about writing and writers groups, books, Broken Mirror Stories, personal experiences, and eventually get back to talk about writing. 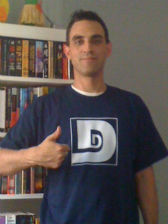 Special Thanks to Ric Vinhage for editing this story. Behold, it came to pass that the world was coming to an end. Can the Great King Aaronath save his realm, or is there no hope whatsoever? 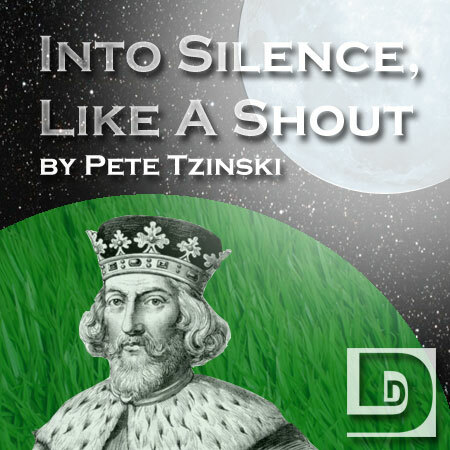 Find out in this week’s story, Into Silence, Like A Shout by Pete Tzinski. Also, Rish Outfield and Big Anklevich talk about the end of the Summer Issue, and the coming Fall Issue of the Dunesteef Audio Fiction Magazine. They also announce The October Scary Story Event, a contest that all listeners are invited to participate in.